Adding the pitch to your casting arsenal is essential in growing as an angler. Bank anglers who are just beginning their bass fishing journey will benefit greatly by practicing this method…EARLY! The pitch allows you to efficiently present your bait around wood laydowns, docks, brush, etc. The subtle underhand method of pitching is key to getting a FINicky bass to BITE! 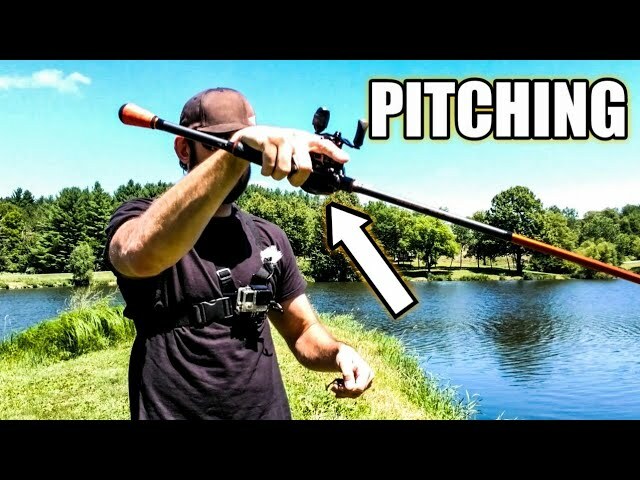 This video will cover everything from where to hold the bait, how to move your rod, and some tips to help avoid backlashes! Do you flip/pitch? Do you still have troubles with this method of casting?